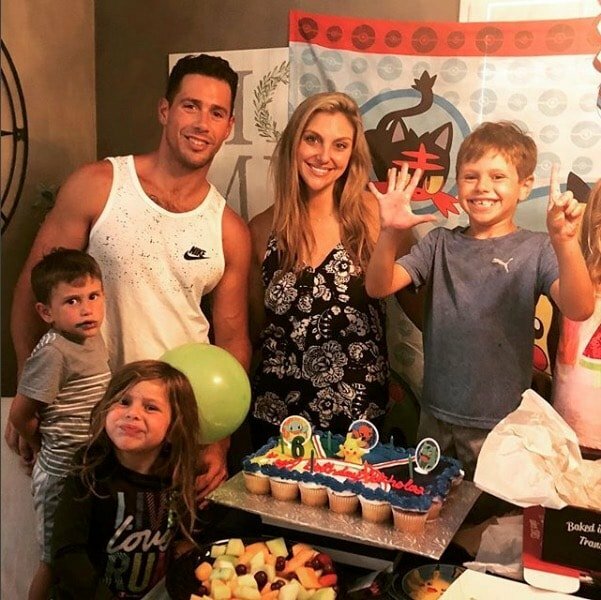 We all know the curse of the Real Housewives marriage, but Gina Kirschenheiter didn’t even bother trying to pretend her marriage was fine her first season of Real Housewives Of Orange County before filing for divorce! “After careful consideration and deep thought, we have decided to end our legal marriage. With that said, we will never end our friendship and will forever remain family. We are dedicated to raising our children together in a happy, healthy loving environment,” Gina revealed in a statement to Us Weekly. “We will be navigating this difficult process with respect and grace for one another.” She promises that they will remain friends. Gina seeks sole physical custody but joint legal custody of their three children Nicholas, 6, Sienna, 4, and Luca, 2. She also acknowledges that the timing of her divorce filing was not ideal, but reveals that the pressures of the show placed additional strain on their already disintegrating marriage. Problems began when Gina and Matthew were living in Long Island, but he was working in NYC. Issues only exacerbated with their move to Orange County, and with her subsequent decision to join RHOC. “I think I did see it as an opportunity that would be good for us, ’cause we’re buddies, we’re friends, we’re just going to navigate this together. And then when he couldn’t film, and he’s also away a lot, I think that it probably did have more of a negative effect on our relationship and made things harder. Now i’m basically going on this venture, and he’s not included and involved in it, and it creates even more distance than is already there. It’s not easy. It affected our relationship,” Gina admits. Gina and Matthew married in 2010. She seeks “domestic partner support” and requests that a judge “terminate” her husband’s spousal support – whatever that means. She also wants Mathew to pay her legal fees. According to Radar Online, who obtained copies of the divorce papers, Gina wants to divide property and assets at a later time. Things must’ve been really bad if Gina wouldn’t even keep up the marriage front through the Bravo PR junket… Also, what does this guy even do that he’s constantly traveling?! Jim Bellino Swears There’s No Drama In His Split From Alexis Bellino! TELL US – ARE YOU SURPRISED GINA FILED FOR DIVORCE BEFORE EVEN MAKING IT THROUGH ONE SEASON?